Spa Cottage is an Eve Taylor and Elemis Spa and Stockist. Every treatment is specifically designed to offer a unique experience, using powerful massage sequences and the most potent, active ingredients available in the world today. 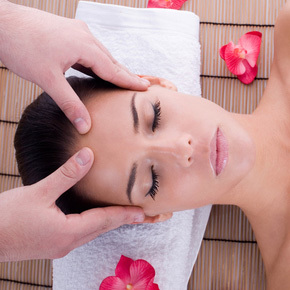 All Elemis facials offer amazing results as well as complete relaxation for the ultimate spa experience. Spa Cottage also offers a range of different facials to suit each individual needs which includes Microdermabrasion and CACI, a non-surgical facelift. CACI is the next best thing to face lift surgery. A completely non-surgical facial using micro-currents, light therapies and microdermabrasion to give long lasting, visible results. The treatments help re-educate and tone facial muscles, reduce the appearance of fine lines and wrinkles and hydrate the skin. CACI’s unique wrinkle comb uses light therapy stimulation and micro-current to plump out and soften lines and wrinkles, the best alternative to collagen injections and fillers. Both Elemis and Eve Taylor offers a range of products suitable for all skin types and conditions. We prescribe the products best suited to your skin to give a completely bespoke facial. All products are formulated to give superb results. The Eve Taylor range is perfect to troubled teenage skin. All products are free of artificial fragrances and colours.